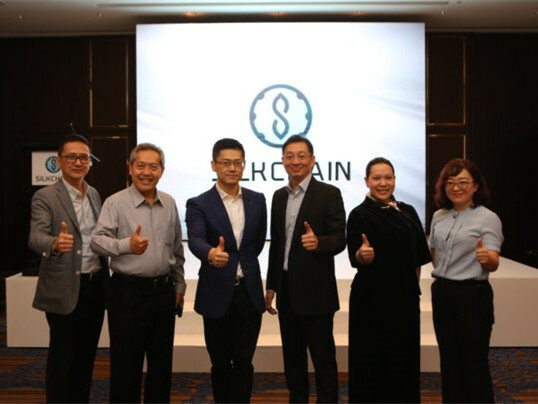 SilkChain, the world's first blockchain project dedicated to improving international trade, has met investors in Jakarta, Indonesia. Qing Yi, the CEO of SilkChain; Djunaidi Lie, the CEO of PT Paloma Shopway (Paloma) and also the Vice President of ITDC; Steven Suhadi, the President of the Indonesian blockchain association; Teky Mailoa, the CEO of asset management of Sinarmas Land; and nearly one hundred other guests attended investment roadshow to discuss the development of blockchain. Most of the participants were not professionals in the blockchain industry but entrepreneurs from local entities in Indonesia. They used their unique business intelligence and vision to expand their businesses step by step. Now their participation can be understood as the first step of the traditional enterprise into the blockchain, and it also reveals that the application scene of blockchain technology in the field of international trade is gradually maturing and prospects are positive. Djunaidi Lie, as a partner representative of this investment and cooperation conference, introduced to local users how SilkChain uses blockchain technology to solve the difficulties of order fragmentation, high intermediate cost and low trust in cross-border trade. He also said that promoting the development and application of the blockchain is also a response to the "industrial 4.0" route map of Indonesia. This technology has been applied in many fields and will bring many benefits to society in the future. "The core point of international trade is to solve the credit problem, especially for small and medium-sized enterprises or merchants who are unable to obtain bank letters of credit. The credit problem among the merchants leads to the difficulty of the large and efficient trade behavior; the credit problem between the merchants and the financial institutions leads to the difficulty of introducing the financial leverage, the high occupancy rate of circulating funds and low circulation rate. These two points are the core reasons for the stagnation of international trade for many years. Only by establishing a unified credit system of global merchants can we fundamentally promote the development of international trade," said Qing Yi. SilkChain will uphold the principle of decentralization and open wins, promote the world's trade entities, cooperate to build a global business credit system, and on this basis, support information storage, payment and liquidation, supply chain transparency, goods traceability and supply chain finance, so as to reshape the whole ecosystem of international trade.